There’s this thing I’ve noticed about people: we love ourselves. Now, wait a minute, just hear me out on this one, okay? Even if you’re the most generous, self-aware, kind and thoughtful person, you will almost certainly get a kick out of seeing yourself as a little roughly drawn character, especially if you get to watch while it’s drawn. And if we get to see how our experiences and stories compare to those around us, we get even more interested. Last week I created a Story Wall for the Arizona State University Unconference on the future of learning in a digital age. 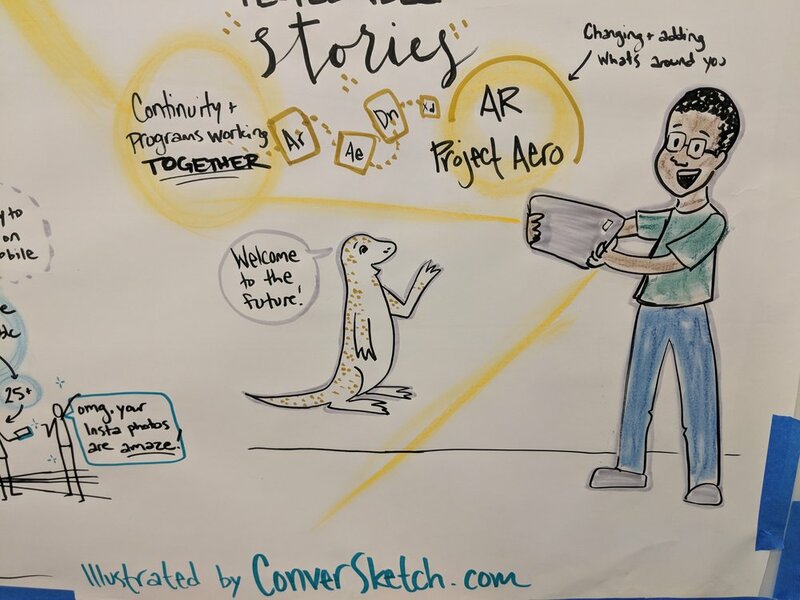 During happy hour, I talked with about 100 people about when they first became involved with digital learning and drew their stories for them while they watched. It was rapid-fire with people clustered around, waiting to have their story captured and perhaps a picture drawn. It was messy and unfiltered. I heard things like “You learned that software program too?! Do you remember…” Old friends and new friends were standing shoulder to shoulder, watching and chatting. And it wasn’t just during that first happy hour – for the rest of the two day Unconference, people were continuously gathering around the Story Wall and talking with each other. These Walls lead to direct opportunities to connect face-to-face in an authentic way, something we seem to be craving more and more in this increasingly technological world. 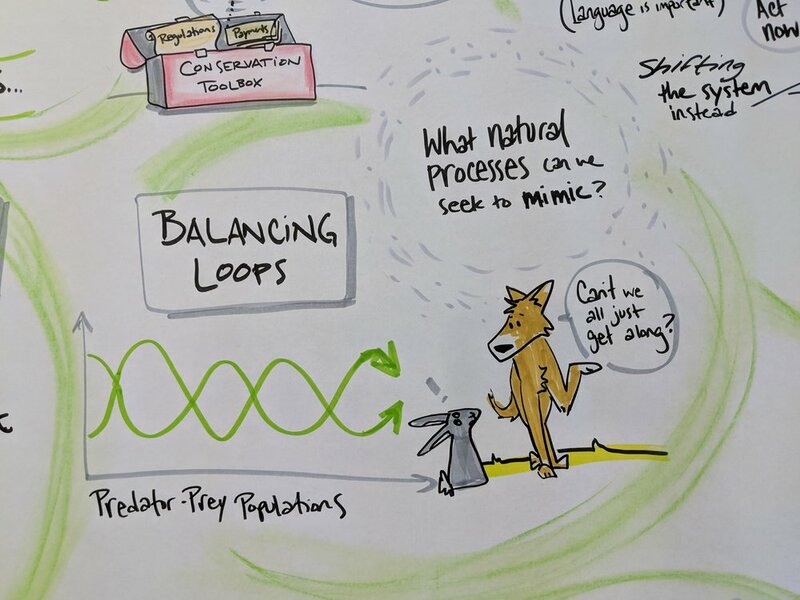 As a graphic recorder, I am always trying to improve how I listen, how I draw, how I make marks to capture not only content, but the energy of the room. Which sometimes leads me into the Art/Design Rabbit Hole of Continuous Creative Improvement, and I forget the most important thing about what I do: It’s not about me or how “pretty” the drawing is. It’s about helping my clients see and understand their stories. Want to boost engagement and creativity at your next event? 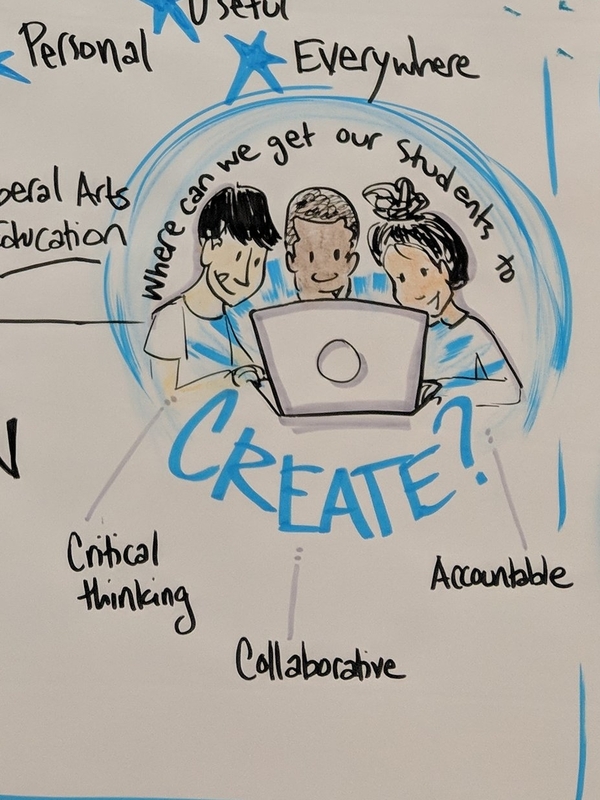 Arizona State University: Unconference for Dreamers, Doers and Drivers around the future of digital learning in higher education. Colorado State University: Last week CSU hosted a University-wide, then community-wide event around how to cultivate compassion in the workplace. After a presentation from researcher and thought leader Leah Weiss on the power of purpose and compassion in the workplace, the participants discussed what they wanted to see and what they can do where they work.